Phosphorus plays an important role for all living organisms and is an essential nutrient element for plants and animals. It has a key position in the combustion processes of the cell, and in the total energy transfer of the plant. It is also a 'building block' of the cell walls, the DNA, and all sorts of proteins and enzymes. For young plants, the presence of phosphate is indispensable; about 3/4 of the phosphorus consumed during a plant’s life cycle is absorbed in the first quarter of its life. The largest concentrations of phosphorus are found in the developing parts of the plant: the roots, the growth shoots and the vascular tissue. Holds key position in both cell processes and total energy transfer of the plant. Also a 'building block' of a.o. cell walls and DNA. Small plant with purple/black necrotic leaf parts. Leafs become malformed and shrivelled. Mix inorganic phosphate fertiliser THOROUGHLY through the soil. Plants remains rather small with purple/black necrotic leaf parts, which later on become malformed and shrivelled. The growth in height, and the development of the plant’s side shoots are inhibited. 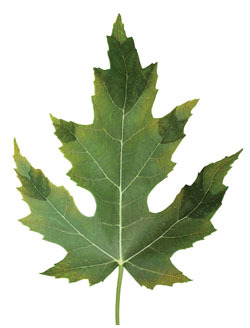 After 2 to 3 weeks, dark purple/black necrotic spots appear on the old and medium-old leaves, making the leaves malformed. The purple/black necroses expand to the leaf’s stem. The leaf turns, curls considerably and dies off. The dead leaves are curled and shrivelled, have a typical ochre purple colour, and fall off. The plant flowers fully, but the yield will be minimal. The growing medium has a pH that's too high (higher than pH 7). In such cases the plant cannot absorb phosphorus due to the fact that insoluble phosphorous compounds develop. The ground is too acidic, or too rich in iron and zinc. This hinders the absorption of phosphate. The soil has become fixated. Phosphate cannot be absorbed anymore. Always use inorganic phosphates as these are easy to absorb. Also always mix the phosphate fertiliser THOROUGHLY through the soil. When pH is too high, acidify the medium by using a thinned solution of phosphoric acid. Choose products that have a guaranteed phosphate percentage on the packaging instead of alternative phosphate-containing products like guano or manure.